Roy, Patricia E.. "William John Bowser ". The Canadian Encyclopedia, 16 December 2013, Historica Canada. https://www.thecanadianencyclopedia.ca/en/article/william-john-bowser. Accessed 23 April 2019. William John Bowser, lawyer, politician, premier of BC 1915-16 (b at Rexton, NB 3 Dec 1867; d at Vancouver 25 Oct 1933). A graduate of Dalhousie, Bowser moved to Vancouver in 1891 and practised law. William John Bowser, lawyer, politician, premier of BC 1915-16 (b at Rexton, NB 3 Dec 1867; d at Vancouver 25 Oct 1933). A graduate of Dalhousie, Bowser moved to Vancouver in 1891 and practised law. First elected to the legislature in 1903 as a Conservative, he remained an MLA until his defeat in 1924. 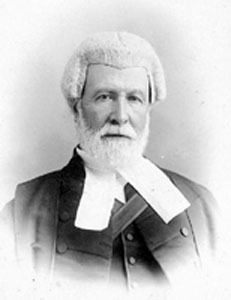 Attorney general from 1907, when he succeeded Sir Richard MCBRIDE as premier on 15 December 1915, Bowser inherited a divided party and an unpopular administration, and his government was soundly defeated in the 1916 provincial election. From 1916 to 1924 he led the Opposition. In 1933 he emerged from retirement to lead an independent nonpartisan group, but died during the election campaign.